Billie Jean King won 39 grand slam titles that included 11 mixed doubles, 12 singles and 16 women’s doubles. This hardworking and sincere woman is a former World No. 1-tennis player. Bille has represented her country, the United States several times in the Wightman Cup as well as the Federation Cup. Billie is a mentally strong woman who truly believes that there must be sexual equality, as is expressed artfully in many Billie Jean King quotes. 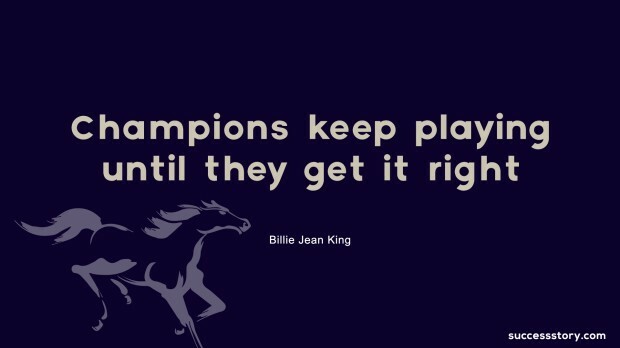 Billie was the founder the Women’s Sports Foundation, Women’s Tennis Association and World Team Tennis. 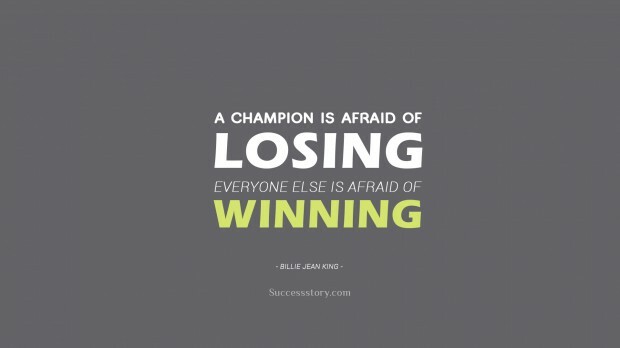 "A champion is afraid of losing. Everyone else is afraid of winning." 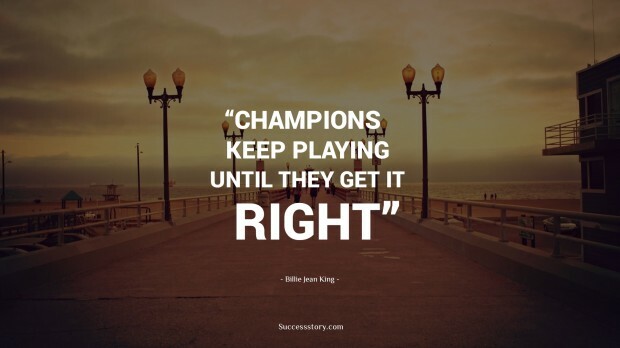 "Champions keep playing until they get it right"
How do You Define Personal Values?